Curtea Domnească Târgovişte, former residence of several Romanian rulers from Ţara Românescă – Wallachia -, today is an important museum complex, opened for the tourist circuit. 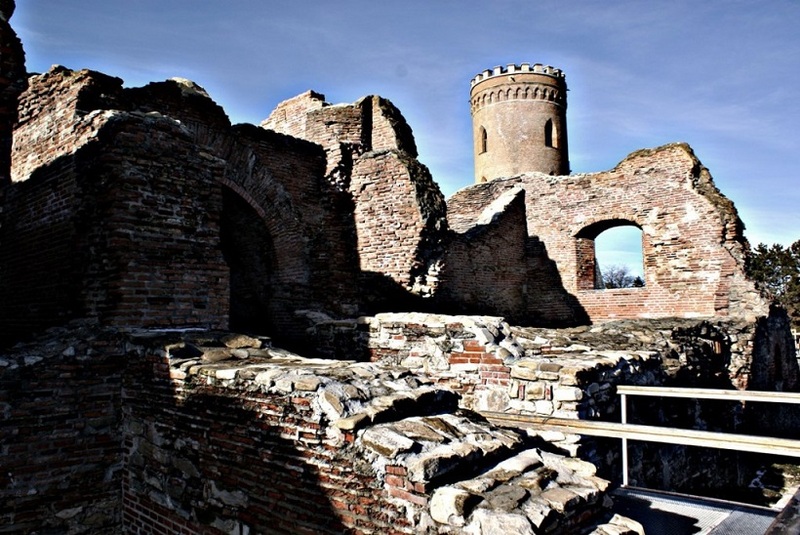 It is a monumental ensemble composed of several buildings and medieval fortifications. Palatul Domnesc (the Royal Palace) was built around year 1400 during the reign of Mircea cel Bătrân (Mircea the Elder). 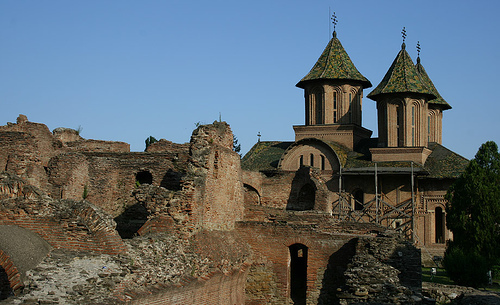 At the time of Vlad Dracul ( father of Vlad the Impaler) took place extension works finished in 1440. Petru Cercel (1583-1585) brings new things into Wallachian architecture, introducing decorative and architectural elements of the Western Renaissance influences. Matei Basarab (1632-1654), brings several changes of Palace also. During the reign of Constantin Brâncoveanu (1654-1714) has renovated the palace, adding paintings and stucco in concordance with the fashion at that time. The Chindia Tower, the emblem for centuries of the city was built at the behest of the ruler Vlad the Impaler, around the year 1460. He was the main point of observation and guard of the Court. The Church "Sf. Vineri" (Saint Friday), unamended architectural monument is built by Vlad Călugărul (1482-1485), the half brother of Vlad Ţepeş (Vlad the Impaler). 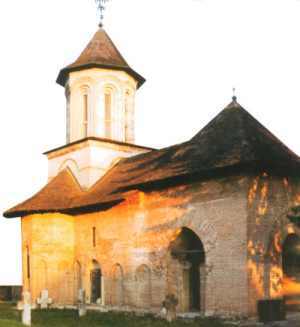 Biserica Domnească (The Princely Church) was founded by Petru Cercel (1583-1585), being at date of construction, the largest religious building in the Wallachia. 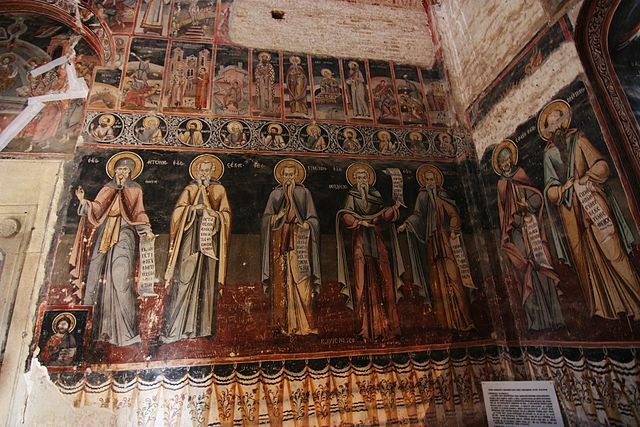 The painting, kept till nowadays, is fully realized in the years 1696-1698, during the reign of Constantin Brâncoveanu, containing the largest gallery with portrait of Wallachian rulers. The Palace Gardens were located on the site of the present city park, stretching over Ialomiţa river up to the hill of Monastery. The gardens in the Italian style, were arranged for the first time by the ruler Petru Cercel, in 1584. The Royal Bath is built after the Turkish fashion, by Matei Basarab on the northeastern side of the precinct wall, near Palace. The operating system of the bath was the classic one, Roman-Byzantine, the steam being routed piped from the boiler room to the bathroom. The House Balaşa was required by princess Balaşa (wife of Constantine Şerban), in 1656, serving as a guest house home and as asylum for poor and elderly. The Pavilion, originally built by Matei Basarab from wood, was rebuilt by Brancoveanu from masonry, turning it into a splendid place of rest and recreation. Today only the foundations are preserved, some columns and capitals.